Photographer and filmmaker Peter Cavanagh presents a photographic cameo of a voyage along the Scotia Arc to Antarctica. Departing from Ushuaia in Tiera del Fuego Argentina, the travelers stopped in several of the Falkland Islands and made landings on King Penguin-packed beaches in the wildlife paradise of South Georgia. 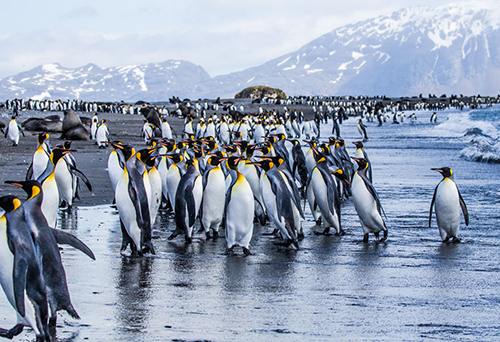 An eventful passage across the Scotia Sea opened up vistas of massive icebergs, snow-capped mountains rising from the ocean, and colonies of Adelie, Gentoo, and Chinstrap Penguins. Recent changes in climate and krill harvesting raise the question of how many more generations will be able to enjoy this vast polar desert in its current abundance.